WOW! That’s the only word I can think of to start off this --- STOP! --- Before reading any further, go book a flight to Iceland right now! Then come back to read. You won’t regret it. 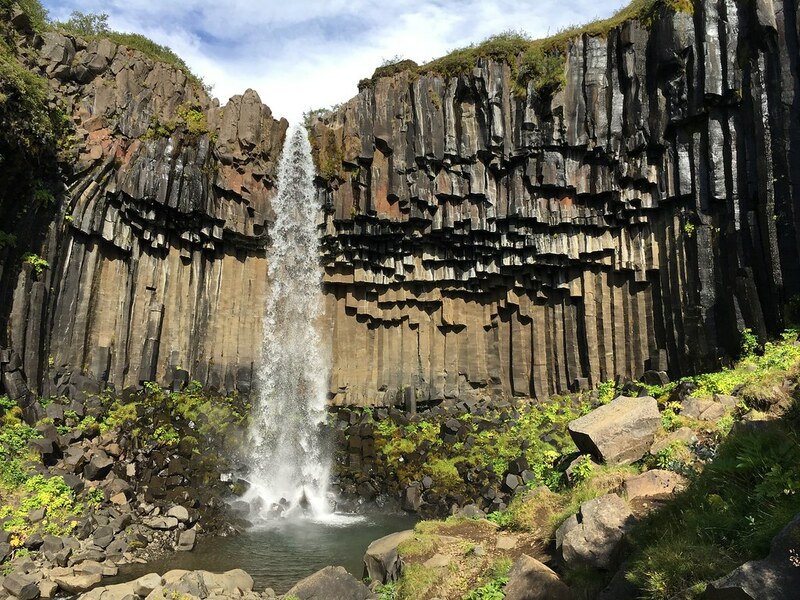 As I was saying, Iceland is simply “Wow.” From the countless – literally countless – waterfalls to the gorgeous hikes and breathtaking views, from living in a camper to getting up close and personal with icebergs, and to even playing with a puffin, Iceland is truly an awesome adventure trip. So, if you’re okay with keeping busy all day on vacation and not relaxing at a beach, then this is the trip for you. It absolutely should be the next trip on your list. This planning section might be the longest I’ve ever put together. It will show how in love I am with this country and will hopefully aide those who are planning a trip. For many, I hope this section is helpful and interesting, but for those who find trip planning and award flight booking to be a bit boring, hang tight – I hope to get to the actual trip soon, I posted a "Cost Summary" at the end of this intro post, and here's a just a little teaser for later. Iceland has become quite the popular destination recently, but it hadn't crossed our minds until our friends went last summer. Their pictures and stories got us extremely interested in the country despite making us ask the same question that everyone seems to ask us after hearing we went – “Really…? Iceland?” But the answer is, “Yes, Iceland. Really.” Once our interest was piqued, I headed over to DDF to research. I’ll take a moment right now to thank SomethingFishy for his immense help in putting this trip together, answering so many of my questions, helping plan out the itinerary and even responding on the spot while we were stuck on the trip. Most of the background information I will share here came from my conversations with him. I also want to thank PBaruch who answered many of my questions and whose own trip report came in handy while planning. Finally, a shout out to ushdadude, lfas25 and Moishebatchy for their help as well in giving tips and answering questions. Everyone’s first thought about Iceland is the Northern Lights/Aurora, but those are only visible (with rare exception) in the winter. A trip to Iceland in the winter is extremely different than in the summer, and while wanting to be adventurous, Fishy’s winter TR made it clear to me that a summer trip would be adventurous enough for our first trip. So, a summer trip it was, and no Northern Lights for us. While I’m sure they are amazing to see, there is so much more to Iceland as well. I’m an early planner, which meant that planning for this August trip began back in March. My first order of business was looking into how long you need for a visit. I learned that there are several classic trips that people do. Iceland has one main city, Reykjavik, with other, much smaller towns spread throughout the country. The country is encircled by a “highway” (read, 2 lane road), known as the Ring Road, and the middle of the country contains the mountainous/volcanic region called the Highlands, which are made up of difficult-to-traverse roads, known as F-Roads. To cover the entire Ring Road with its many stops, you need to plan for at least a 2-week trip. I imagine even more time if you plan to also head inwards and explore the Highlands (which requires renting a car that can handle the F-Roads). No one I know has taken this long/intense of a trip yet, and I knew there was no way we’d have 2 weeks for the trip, so I opted for the second classic option. There’s no name for this trip, but you basically start in REK and follow the southern strip of the Ring Road until about halfway to the east coast, at which point you turn around and head back. While it may seem like you’re barely covering a quarter of the full Ring Road, this section is jam-packed with activities. This trip can be done in 4-5 days. As the calendar flipped from July to August, my wife's school released the class schedule, and with less than a month to our trip, I realized our last day in Iceland would be her first day of classes. I couldn't believe it. I started looking into the idea of changing our dates to start in the middle of the previous week, then flying to London for Shabbos and back for a few more days in Iceland so that we could still get in 4-5 days on the ground while still getting back in time for classes. However, it was clear that the idea was bonkers. Then I remembered that her previous classes hadn't always started on the official first day of the semesters, so I decided to take matters into my own hands and contacted her teachers directly. That was more difficult than expected. There were 2 teachers I needed to reach, and after many emails and calls, I finally got through to the first one, who told me classes would not be starting on that first day, but rather the following week - hurrah! However, the second teacher was planning to start on that day, but also told me that my wife was only responsible to come to one of the first two classes and could technically miss one... So, I broke the news to my wife and after thinking about it, she decided that we could go on the trip and she would miss the one class! Thank you, Mrs. @Yehuda! Once I knew we needed a full week, I used Google Flights to determine what flights could get us to and from New York without keeping us in Iceland over Shabbos. I learned that the flight is just 5 hours long, that Delta has 2 Motzai Shabbos flights from New York (at least in the summer) and that both Delta and IcelandAir have Friday morning flights returning back to New York that, with the help of the time difference, land around noon on Friday. With Shabbos in August not starting until after 7PM, a noon landing would leave us plenty of time to get home in time for Shabbos. So, I had the specific week I wanted to travel, and the 2 specific flights I wanted for the return. Talk about having flexibility when booking award travel. With that option seemingly impossible, I began to look for other ideas. The cash price for one way in business and one way in coach was around $1250, while even flying roundtrip in coach was still $7-800. Neither of those seemed exciting to me. It’s quite well known around these parts that I am a big fan of using Barclays Arrival Plus points (A+) to redeem for travel costs that other miles can’t cover, and I expected to need a lot of them for the activities on this trip, but I was not ready to also use them for the flights that could otherwise be booked with regular miles. I then got in touch with someone who offered to book the flights for me for $400 roundtrip in coach, and I calculated that I could manage spending my A+ miles on the flights (and still having enough to do some activities), but he informed me that I would not be able to use my credit card nor my A+ points to cover the flights. Not interested in paying $800 cash for our flight expenses, I was left to ponder if there was still anything else to do. I don’t remember where the idea came from, but at some point, I remembered about an often overlooked way to book travel – the Chase Ultimate Rewards and AMEX MR sites. Booking through these sites gives you a set value for your miles, so you pay based on the dollar cost of the flight, and therefore usually doesn’t give you a value close to what you could get by transferring your miles to airlines and hotels and booking directly through them. However, I found out that the AMEX Business Platinum card has a perk that if you book a flight through the MR site, they give you back 30% of the points! So, I got to work. Searching on the MR site for the flight didn’t help me because the site couldn’t piece together an itinerary with one leg in business and one leg in coach, so I had to call up to book. The agent pieced together the flights for me and quoted me close to the $1250 price I had seen in my prior research. That would require about 125,000 miles per person minus the 30% discount. He explained that they deduct the full amount of miles from your account at first, and then the discount would returned to me shortly afterwards. The rep also had no problem waiving the phone booking fee after I explained to him that this itinerary couldn’t be booked online. So, the total cost was 89,950 miles per person. Had I transferred MR to Delta miles, I would have paid 62,500 + 30,000 for a total of 92,500, and I would have had to pay the $100 in taxes and fees. Even if I would have sold the 90,000 miles, I would have only made about $1200 and still would have been slightly short to pay cash for the flights. So, I believe I found the cheapest way to book the exact flights I wanted. Our flights were booked several months in advance, with no more availability-searching necessary, and it was quite comforting to know that. Iceland was on! I would say there are 3 ways to do the southern portion of the Ring Road. I guess there’s a 4th option where you visit the city of REK, spend all your time chilling in the city, seeing the landmark church and concert hall, going out to eat and maybe taking 1 tour outside the city to do something like the nearby Golden Circle. 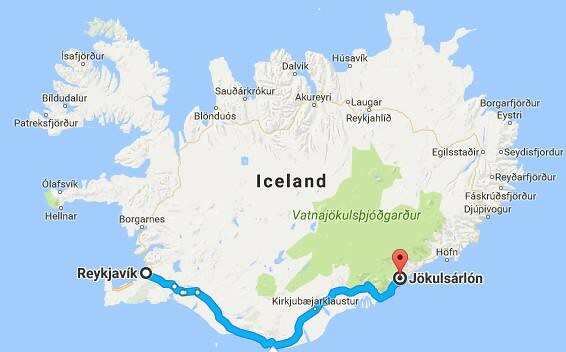 But, c’mon, that’s not a real trip to Iceland. The next option is to rent a car, drive along the road on your own schedule and either sleep in hotels along the way or bring tents and camp at the plentiful campsites. 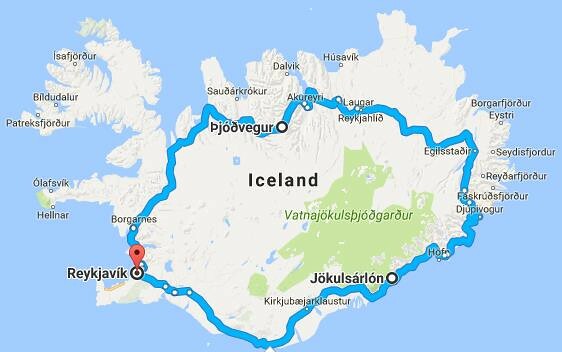 Renting a regular car and bringing tents would probably be the cheapest way to travel in Iceland. The issue with hotels is that you won’t find name brand chains along the road (except for 1 expensive Starwood property that’s outside of REK but not in a convenient place along the Ring Road), but rather small mom-and-pop shops. Many are guesthouses/hostels where you might not get your own bathroom or have to pay more for a private room, but they can often be had for under $100/night. The final option – the one we chose – is to rent a camper/RV, drive along at your own pace and park at campsites overnight. Technically, you can park at gas stations or even on the side of the road, but we decided to stay at official campsites with facilities, especially since our camper wasn’t going to have a bathroom or shower. It also felt safer to park at an official campground as opposed to the street and definitely something I was going to do on a trip with my wife versus if I was just with a bunch of guys. Researching campers was another long process I had to do. Renting a camper is a popular way to travel in Iceland, and therefore, there are many companies that offer rentals. I learned that an automatic camper was going to be much more expensive than a manual one (as expected in Europe), but I don’t know how to drive stick and wasn’t going to learn before the trip. I also learned that all the companies have a minimum 3 day rental requirement and, with the prices they charged, decided to rent the camper just for the 3 minimum days and then spend the last 2 days in a hotel in REK, doing the activities that I explained above are near the city. My final lesson was that the camper places sell out quickly, so book in as much advance as possible – more on that to come, unfortunately. I put together a spreadsheet to compare camper types among some of the main companies that I found on Google. During my original research, I had contacted CampEasy and asked if they could offer a discount to match some of the cheaper companies out there. Incredibly, they agreed to offer a 15% discount, which brought them in line with the price of CozyCampers (as you can see in the Excel screenshot). I had chosen Cozy simply because their pictures looked better. So, at this point, I reached out to CampEasy again and asked if they still had availability and if they could still offer that discount, and they said… yes! Thankfully, my camper was booked once again. It turned out that CampEasy hadn’t updated their pictures in a while because the camper we got was much nicer than the one pictured. The final price was 96,900 ISK (Icelandic Krona – but for the most part moving forward, I’ll only list USD prices) which at the time of booking was worth just under $800. They charged 15% (~$150) at the time of booking as a deposit and charged the rest later, at which time the currency conversion had gone up, so the total cost came out to about $830 for the 3 days, or $275/day. I had planned to cover that cost by paying with A+ miles but, I first had to consider which credit card would give me the best insurance for the rental. After a lot of research, I found that almost all credit cards specifically exclude RVs/campers, but thanks to whYME, I learned that Citi cards would in fact cover primary insurance on campers when rented internationally. Their exact terms are, “Any vehicle with more than two wheels that is meant to be driven on public roads.” I tried to get a Citi rep to send me written confirmation that campers would be covered, but the best I could get was a note put on my account. (I called back to see if a different rep could see that note, and they could. ) The problem was that the only Citi cards I had were an American Airlines Bronze card and the lower-level Hilton card. Both of those cards have foreign transaction fees, and knowing I would be charged in ISK, I accepted that I would essentially be paying 3% fees to get the insurance. I first noticed this when I paid the deposit and was hit with a 3% fee, but I was able to get Citi to waive it as a one-time courtesy (was only $4 or so). So, my plan was to keep the credit card hold during the rental on my AA Bronze card and then, after the rental (if there were no damages), ask them to just switch the card to my A+ and charge that one. However, that’s when I learned that they charged the full price upon pickup of the camper and not after returning it, which meant that they weren’t just putting a hold on my card, but actually charging it then. That meant I would have to convince them to refund me after the rental and then re-charge me on my A+ card. Aside from that, their CC machine gave the option to charge me in ISK or in USD, and the cashier chose FOR me by picking USD thinking she’d help me save money on the foreign exchange fee. Of course that’s too good to be true, and after some quick math, I realized their CC processor was obviously taking even more than 3% to “conveniently” let me pay in USD. I ended up being charged about $860 for the rental, so they charged me around $30, which is about 3.5% in fees. As you’ll see soon enough, unfortunately I didn’t even have to deal with trying to switch the CC after the rental and whatever currency fees I paid were welllll worth having insurance… Once I needed the insurance and couldn’t use A+, I covered the cost by paying for it with money I had earned from the Wells Fargo cash back card. So, my advice is to make sure you have a higher-level Citi card so you don't have foreign exchange fees and ensure they charge you in ISK and not USD - then you should be set for camper insurance internationally. People say a camper can often be cheaper than the alternative of a car rental + hotel each night, but when there are cheap guesthouses you could technically stay at and when you need to pay the premium for an automatic camper, I don’t believe that to be the case. Nonetheless, the camper turned out to be much more than a means of transportation and sleep, it became an awesome part of our Iceland experience. I couldn’t decide whether to do the 3 camper days first and then the 2 hotel days or vice versa, but my final thought process was that after 3 days of living in a camper, it would be nice to end the trip in a roomier hotel room with our own bathroom/shower. (Good decision.) For the 2 nights that we would be staying REK, I looked into the points hotel options. There are only 4 in REK – the Hilton Reykjavik Nordica (standard hotel), a Canopy by Hilton (brand new and extremely expensive) and two Radisson Blus (both pretty standard). Not having any Radisson points (both hotels required lots of them) or free nights from the Club Carlson credit card, I chose the Hilton at 40,000 points a night. Per reviews, it’s nothing special, but with rates over $250/a night, I decided to use the points. About a month before the trip, I was randomly thinking of future trips and realized how I might want to use Hilton points for a more exciting redemption one day – think Conrad Koh Samui in Thailand, Conrad Maldives, Waldorf Astoria Jerusalem – and started thinking twice about dropping 80,000 points for Iceland, when we definitely weren’t planning on spending much time at the hotel, and it wasn’t even supposed to be that exciting of a property. (Wow, look at me thinking of the opportunity cost of my miles! ) I tried to think of other options, including AirBNB, Priceline Name Your Own Price, and simply Hotels.com, Expedia, etc., but nothing seemed too exciting and, a month before travel, all would likely have been $200+/night. Finally, I realized that I could get Club Carlson nights here on the forums. Not sure why I didn't think of that sooner, but I learned that these nights go for a lot less than Hyatt, Hilton, etc., and I was able to get 2 nights for just $100/night! I cancelled my Hilton reservation and grabbed the Radisson Blu Saga hotel (the other Radisson didn’t have availability, so it wasn’t an option to consider). Trip Advisor warned that the Radisson wasn’t anything special and was undergoing room renovations so “try to get into a renovated room or else you might see a lot of wear and tear and have bad air conditioning.” Those reviews left me quite confused after we saw the well-kept lobby, our modern room and the front desk agent told us there's no air conditioning in any of the rooms... But we’ll get to that much later. For the 2 days we’d be in REK, we needed a way to move around. After WAY too much itinerary planning, I decided that one day would be a tour day to go to Inside the Volcano where we would be picked up and dropped off, so we wouldn’t need a car. This was recommended by the tour company as they said it’s hard to find the activity location, but with 20/20 hindsight, I can tell you it’s not hard to find it, but we’ll get to that later on. The other day, we were going to do the Golden Circle, so we rented a car for it. Again, an automatic was going to be more expensive, and I couldn’t find anything relatively affordable. I’m not a pro with car rental codes and couldn’t find anyone who had any ideas for me. Eventually, someone suggested looking into SIXT since their top status (Platinum) gives you a discount on booking, and it’s easy to match to that status if you have other hotel/airline statuses. I matched from Hilton Diamond and noticed the rates go down by about 15%. I wanted to pickup and return in the local REK location, but going from there back to the airport would have meant a taxi and bus that would have cost around $45. Instead, for a $53 fee, I was able to make the rental a one-way and return the car at the airport location. For a couple dollars more, we were able to have a much more comfortable return journey to the airport. In total, the 1 day rental cost me about $115 or 11K A+. Kosher food in Iceland is basically non-existent. We found random snacks with Hechsherim, including those mentioned by other travelers – Nature Valley bars, Popcorners and, of course, Coke products – but we also found some that we hadn’t known about before – some cereals like Cheerios and Honey Nut Cheerios, Baby Ruth bars and jelly beans from The Jelly Bean Factory (had an OU, but never heard of them before). Other than those snacks, everything is produced in Iceland or imported from Europe and therefore don’t have Hechsherim. Despite checking the packaging every time we saw Twix, Mars and Kit Kats, a Hechsher never appeared. Knowing we were going to have to bring food with us, strategic planning went into action. For the 3 days we would be in the camper, we would have access to the included burner, which meant we could bring a pot and boil water for oatmeal for breakfast and tradition soups and pasta for lunch. For dinner on those nights, we took advantage of the included “fridge” (ended up keeping things about as cold as a cooler) to store hamburger patties, Jack’s sausages and chicken cutlets. After deciding not to rent a grill from CampEasy for $50 (and the fact that the grill rack wouldn’t be Kosher), I reached out to random Icelandic Twitter accounts and confirmed that we should be able to buy those prepackaged disposable grills (basically a foil pan filled with charcoal and covered with an metal rack) for a couple of dollars and decided we would pick those up locally instead of schlepping grilling stuff with us. For the last 2 days, we'd be without the camper and, therefore, would actually be in a worse situation since we wouldn't have a burner or grill, so we brought a loaf of bread and peanut butter for lunches and tuna, mayo, deli, wraps and, yes, even avocados for some nice wraps for dinner. Google taught me that keeping avocados in the fridge can extend their life a few days, so after buying the most unripe ones I could find and keeping them in the fridge until we left, they actually became edible at the perfect time when we were ready for our wraps. We also brought a bunch of Chewy and Special K bars and other snacks to keep us going throughout the day. All the food worked out well except for running out of snacks, which turned out to be fine as snacks were the only Kosher food we found locally anyway. Iceland is full of activities and while most of them are natural, many do cost money and need to be booked through a tour company. While the activities usually cost the same as activities you’d find in any other place, the fact that there are so many activities to do (and some that are just exorbitant), you need to budget a nice chunk of change for activities. With that in mind, I think eating Kosher is a blessing in disguise, as otherwise, we would have spent even more by going out to restaurants all the time. There are several tour agencies, but my friends told me about Arctic Adventures, which offers a 10% discount if you book 3 or more tours with them that are operated by them (I mention operated by them since they also act as a travel agency for tours operated by other companies). Having researched a few activities among different agencies, their prices were the cheapest after that discount. They were also super helpful via email and, most importantly for me, allowed me to charge my A+ card $1 to see how it posted on my statement, and it came up as a “Travel” charge and would therefore be eligible to redeem my A+ miles for. I’ll go into detail about the activities as we get up to them, but in total, I spent $1450 or 140,000 A+ on our 4 main activities. Yeah, wow. I also pre-booked a glacier boat ride direct for $100 that I covered with 9,500 A+. I figured we didn’t need to book in advance any of our other activities and that was correct. With the flights, camper, hotel, car rental, food, cell phone and most of the activities all figured out (and my itinerary planned out in great detail throughout this process), everything was set – on to the trip! Really looking forward to this one. @Yehuda style! You had better not disappoint. Nice start to an interesting TR. Let's hope all the cliffhangers that were promised to be answered later are as good as they sound like they'll be. The 30% off when using MR is only for the airline selected for the $200 credit. Wow. Looks like a great time and you might've convinced me that it's time for a vacation. Was it hard to drive the RV? definitely a TR I'm looking forward to! Don't wait for the perfect moment; take the moment and make it perfect. Rep was kind enough to switch the airline for me, as I had already used UA for the credit. Yep - Iceland definitely costs a lot of money. If I didn't have A+ and WF to spend, we wouldn't have gone. Nope, was about the size of a large minivan as you'll see once I get to it. Did not have a bathroom/shower. After a lot of research, I found that almost all credit cards specifically exclude RVs/campers, but thanks to whYME, I learned that Citi cards would in fact cover primary insurance on campers when rented internationally. Couldn't believe it when I saw it, but I've confirmed it's accurate. Wish I knew this earlier, but it's gonna save me a bundle! Thanks to you and whYME! Spoiler alert for later, but: I just got an email over Shabbos that they will be reimbursing me for the damage! Not only that, they're giving me $1700 even though the damage was only $1375. The damage receipt was $1375 but $325 in VAT, but CampEasy said I wasn't responsible for the VAT, so they only charged me $1375. I explained that to Citi (and even had all the charges put on a Citi card so they would review it, but I guess for some reason they decided to refund the whole amount. Not complaining! So, are you going to Iceland?? Fine, I imagine NZ is probably at least half as nice as Iceland, so I'll give you a P'tur.